Always read the terms and conditions so you know what you are accepting. By using www.visitvatnajokull.is or any Visit Vatnajökull affiliated website, you agree to be legally bound by these terms, which shall take effect immediately. Please note that the terms and conditions can change without notice so we recommend that our customers review these policies regularly. Iceland is a part of the Schengen agreement. For details on general visa, passport requirements and health information view the official website for Iceland Ministry for Foreign Affairs. If you are booking for people other than yourself, you warrant that you have the authority to do so. The booking Terms and Conditions will also apply to all the other members of the party and you are responsible to ensure that all payments are made on behalf of all members of the party. As an individual booker, you need to be at least 18 years of age to be able to make a booking. Services booked directly at the Visit Vatnajökull website require a valid credit card that is charged upon booking. In the event of a cancellation by the supplier or if a tour becomes unavailable from a supplier, an alternative tour will be offered. If the customer does not accept the alternative, or if Visit Vatnajökull is not able to offer an alternative, a full refund will be made. When you book a tour online, once payment is confirmed, you will receive an email with an attachment containing the voucher with a booking number and a list of services purchased and information of suppliers. Please print out these documents and bring them along to Iceland as proof of payment and as a voucher during your visit to Iceland. Please check the details of your confirmation carefully to ensure they are exactly as you requested. In the event of discrepancy, please contact Visit Vatnajökull immediately as it may not be possible to make changes later. 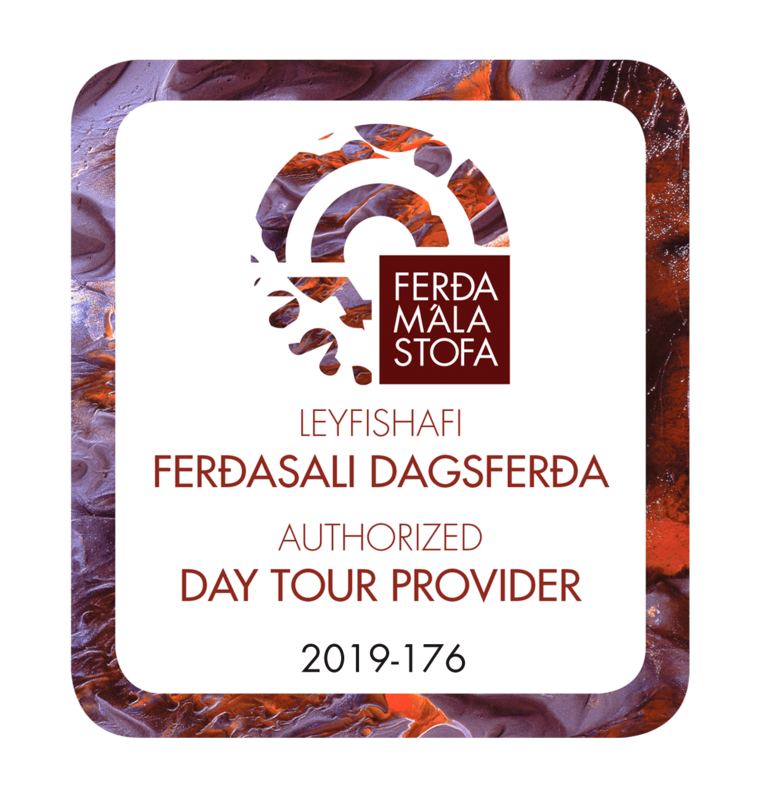 Please note that it is the responsibility of the client to communicate their pickup location to Visit Vatnajökull – or the tour operator indicated on the voucher at least 48 hours before the beginning of a tour. If the pickup location is not specified at the time of booking, Visit Vatnajökull cannot be held responsible if you miss your tour due to not submitting the correct pickup location in a timely manner. A cancellation must be sent to Visit Vatnajökull in writing, by e-mail, and need to be confirmed by Visit Vatnajökull to be valid. For rescheduling please contact us at [email protected] or call us at +354 478 8080. Cancellations received less than 48 hours prior to tour departure or arrival to the accommodation will not be refundable. If clients cancel their tour or accommodation more than 48 hours prior to departure, 90% refund will be given. 10% of the price of your trip is non-refundable, this percentage reflects our cost of booking and preparing your trip. “No Shows” will be fully charged. Note. Bigger part of the fee is repaid if the weather conditions are not allowing the trip to go forward but we don’t repay the fee if the client is late, or doesn’t show up even if the weather is very bad, and the trip goes forward. All prices quoted on the website, are in Icelandic krona’s (ISK) and calculated per person unless otherwise specified. Prices are subject to change without notice in the event of currency fluctuations, government taxes, or any such cost increase, which is beyond Visit Vatnajökull control. Visit Vatnajökull acts as a booking agent but directs its customers to tour operators and other service providers in Iceland. Therefore, Visit Vatnajökull cannot be held accountable for any accidents or death that can be traced to the participant´s negligence, losses, expenses due to delays, changes of flights, closed roads or other services or because of strikes, sickness, damage, negligence, weather, war, changes in bus schedules, or other similar causes. We strongly recommends to all its clients to purchase travel insurance from a reputable provider in their country of origin, prior to their journey to Iceland. It is important for all travelers to protect themselves in the case of unforeseen problems or additional costs. Single supplements are often payable for sole occupancy of a room. A single room does not guarantee the provision of a double or twin room, and in some instances, may be smaller. A double bed often consists of two single beds pushed together, using double bed base linen (although it is not unusual for single duvets to be provided in many hotels for doubles). For triple or quad occupancy, this may be a standard size room with either a camp bed, rollaway, or mattress on the floor and space will therefore be limited. If you have any special needs or requests you should notify us as soon as possible. We always try to fulfil our customers wishes at all times.